Welcome to Penn State's home in the beautiful State of Colorado! Penn State Colorado (PSU Colorado) is a very active affiliate group of the Penn State Alumni Association (PSAA). We have over 7,000 Penn State alumni living here and many more people who bleed blue and white who we're proud to call Penn Staters! 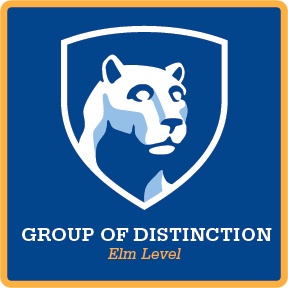 The amazing efforts of all Colorado Penn Staters have afforded us the privilege of being recognized as a Group of Distinction by the PSAA for the past SEVEN years in a row, including reaching Elm Level for the past four years, the highest level an alumni affiliate group can achieve! PSU Colorado is committed to carrying out the University’s mission of being a leader in global service and we relentlessly pursue those activities in our local community here in Colorado. We look forward to you being a part of one of the premier Penn State alumni groups in the world!